The brand new Dwell East End in Adelaide is going to welcome the first group of residents in 2019. 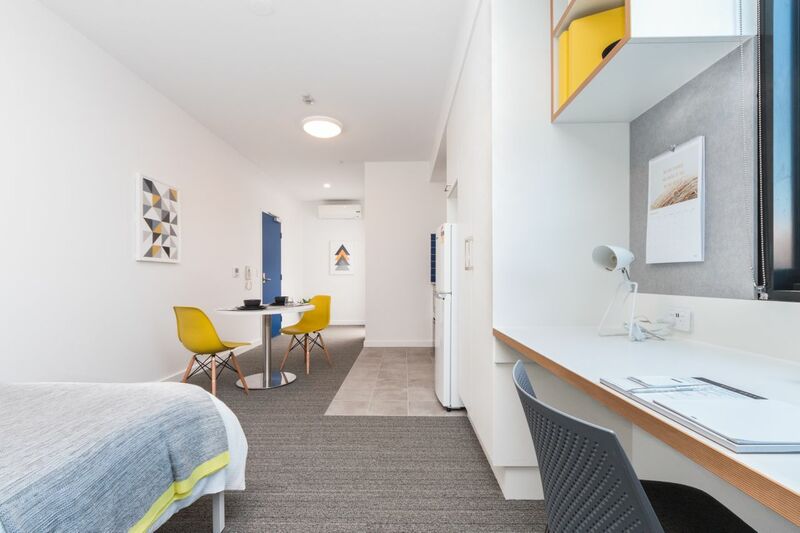 Situated in the heart of Adelaide, the apartment has incomparable advantages to offer students a convenient and secure life. Dwell East End has a perfect location with walking distance to universities, dining, shopping and transportation. It only takes you 5 minutes to walk to University of Adelaide and University of South Australia. The apartment provides various types of rooms all fully furnished. Trying to blend in details to enhance its standard, Dwell East End has made every effort to upgrade the room amenities. Taking kitchen as an example, there are 2 cook-tops with exhaust hood, convection microwave oven and dishwasher drawer. The community will also be a harbor for you to take after your life. Cinema, gym and game room are for your daily recreation. The weekly social events are regularly held to unite all the residents and help you get along with each other. To reinforce the security system, the apartment has 24/7 on site team for residents. Once you decide to move in Dwell East End, you will find your life covered. 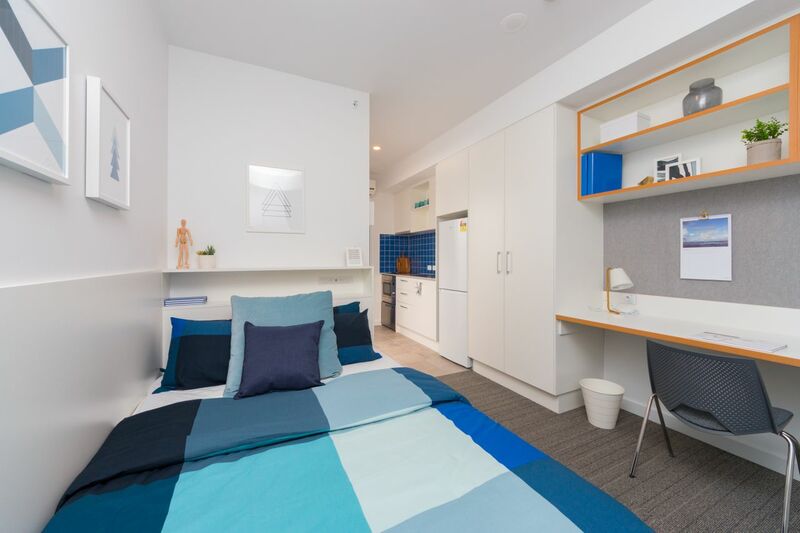 Share the apartment with a flat mate, study in peace in your spacious studio apartments and enjoy the ultimate convenience paired with thoughtful luxuries in your en-suite bedrooms. Book now and get rent free!Book now for single studio will get: - pay in full for 12 month will get 2 weeks rent free. - pay in installment for 12 month will get 2 weeks rent free. - pay in full for 6 month will get 1 week rent free. - For all students: Free bedding set & kitchen appliance. - For booking 52 weeks' contract only: $50 Laundry Credit, $25 UberEat Voucher, and claim at most $30 of taxi invoice (from Adelaide airport to dwell East End Adelaide) Detailed information please check with booking consultant. 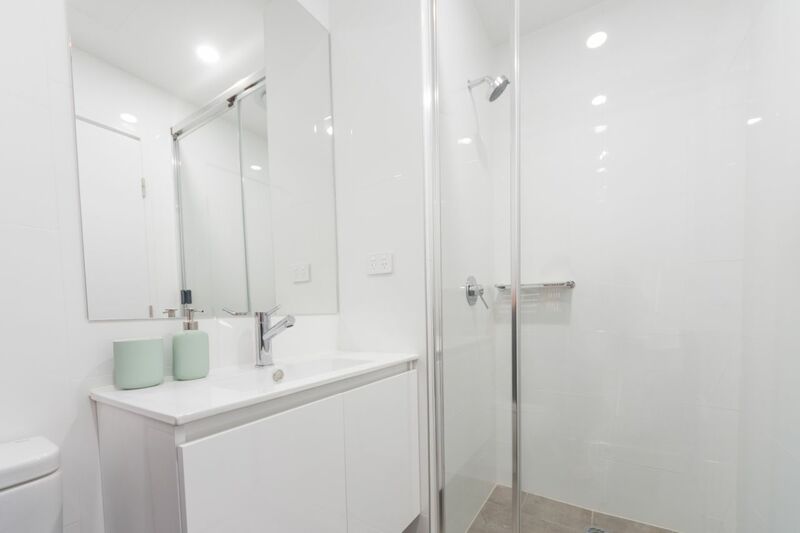 Wir haben leider keine Unterkunft gefunden, die deinen Wünschen entspricht.Alle Mehrbettzimmer in dwell East End Adelaide ansehen. Wir haben leider keine Unterkunft gefunden, die deinen Wünschen entspricht.Alle Ganze Wohnung in dwell East End Adelaide ansehen.